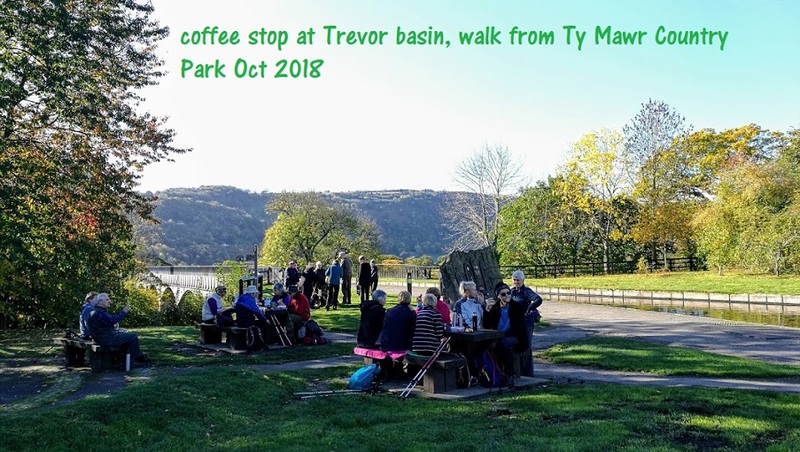 The WALK PROGRAMME runs until the end of June 2019 and is available here to download. It is a great programme of 38 walks from 4.5 to 10 miles in Shropshire, Powys, Wrexham, Denbighshire, Conwy, Gwynedd and Cheshire. If you plan to come on a walk, please check the "our group walks" feed on this page or phone the walk leader for the latest information, as walks are sometimes changed due to unavoidable circumstances. Thursday walks: usually approx 4 to 6 miles. Normal meeting time 10:00 in Gatacre car park, Oswestry. Maximum grade moderate. Sunday walks: usually longer or more challenging walks, moderate to strenuous. Meeting times vary, usually 9:30 or 10.00 in the main Oswestry Central Car park. In addition there are also 5 leisurely walks on various Sundays. Times in the programme are at the meeting point in Oswestry. Please arrive early to allow time for leaders to give details and arrange car sharing. If you intend going directly to the walk start point please contact the walk leader beforehand. We encourage car sharing wherever possible as it is better for the environment and parking at the starting point of the walk can be limited. Bring drink and a snack with you, a packed lunch will be needed for longer walks. Check with the walk leader if uncertain. Walks are primarily intended for Ramblers members. However, non-members are very welcome to join as guests for 3 walks to try us out. Ramblers members from other groups and areas are, of course, welcome too. Walks are graded using Ramblers National guidelines. Where a Grade+ precedes a walk description it indicates that the walk is harder than the average for the "nominated grade", but its ascent or terrain does not warrant it being placed in a higher category. The Zone of each walk is in the walk programme. We still need more walk leaders! If you would be willing to organise a walk yourself, or with the help an experienced walk leader, please contact Diane or Ceinwen on programme@oswestryramblers.org.uk.